Moto X3M is back!The great motocross racing game takes you to the cold snowy mountains, where you have to prove you're the best dirt bike rider ever. Race as fast as you can, make flips and try to master all off-road circuits in best time. Ready? Then face up the winter challenge in Moto X3M 2! Have fun! Papas Burgeria is an addictive restaurant management game from the makers of Papas Pizzeria. Your job is to help Papa Louie run his burger shop. Take orders, grill meat, add toppings, and serve the burgers to your customers. Much fun! 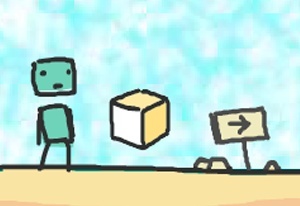 Gravity Guy is an addictive multiplayer platform game inspired by G-Switch. Reverse the gravitation and help that little guy to reach the end. Just click or press X to invert the gravity. Much fun! Run with your Ufo and get as many stars as you can! You will have to help the brave UFO in search of treasures among the mysterious corridors of the old castle. 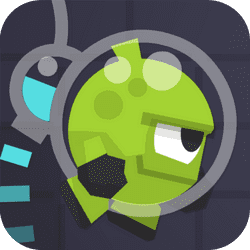 Enjoy Ufo Run. Play our newest game - SpongeBob Smiley Face Puzzle. The goal is to put the pieces from the puzzle in their right positions to complete the puzzle at the end. If you are playing with limited time and is simply too hard for you, you can turn it off and continue playing without the time limitation. Enjoy and have fun!!! Tetris like puzzle game: Create long horizontal or vertical lines with the lines on the falling blocks. Make lines of 3 or more in length to remove them. Remove as many lines as the indicated goal to advance to the next level. Touch a block to rotate it, touch a column to move the block and swipe a block down. You can also use the controls to the right of the playing area. Fun Mahjong Cube game with the Zoobies. Remove the Zoobies in pairs. You can only use the top Zoobies. 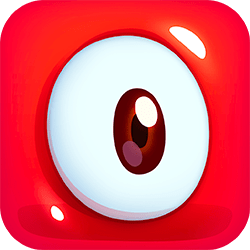 Pudding Monsters is a deliciously addicting puzzle adventure with wacky characters and innovative stick-‘em-together game-play. The Pudding Monsters are on a mission to save their friends from the cold-hearted fridge owner! Growing into an ULTIMATE MEGA MONSTER sounds like the most reliable plan. Off the table, out of the house, and into the city – swipe to stick the Pudding Monsters together and save their friends! Classic Tetris game in html5. Drop down the falling blocks and complete horizontal lines. Complete lines disappear from the game. Use the arrow keys on your keyboard or the keys on the screen if you are on a mobile device. 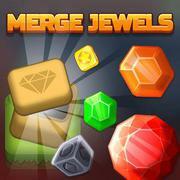 Merge rocks to turn them into shiny gems, earn coins and try to complete you collection!